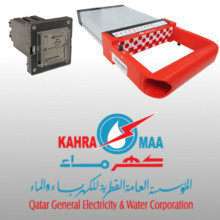 Qatar General Electricity & Water Corporation (KAHRAMAA) has approved Arteche Test Blocks & Plugs and Supervision & Auxiliary Relays for installation in Kahramaa projects. We appreciate the confidence of Kahramaa in our products and we commit to keep supplying our test blocks and relays with the highest quality and reliability. Over the last 10 years, Arteche has supplied more than 100.000 auxiliary relays and test blocks to the Persian Gulf with a highly satisfactory operating experience in countries like Qatar, Saudi Arabia, UAE, Kuwait, Oman, Bahrein, Iraq and Iran.